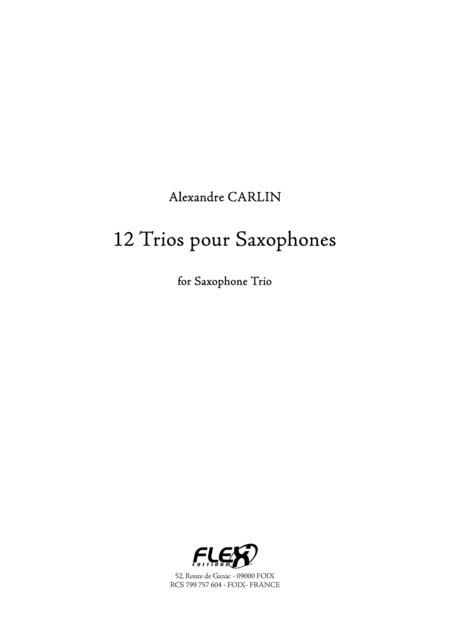 Composed by Alexandre Carlin. Classical, Instructional. Score and parts. 31 pages. Duration 10 minutes. Published by FLEX Editions - Digital Sheet Music (FX.FX073565). 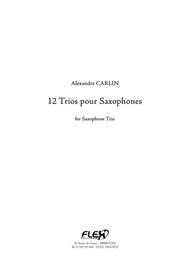 A collection of simple saxophone trios, including original compositions and arrangements of classical pieces (Bach, Bizet, Mozart, Schumann, Tchaikovsky).